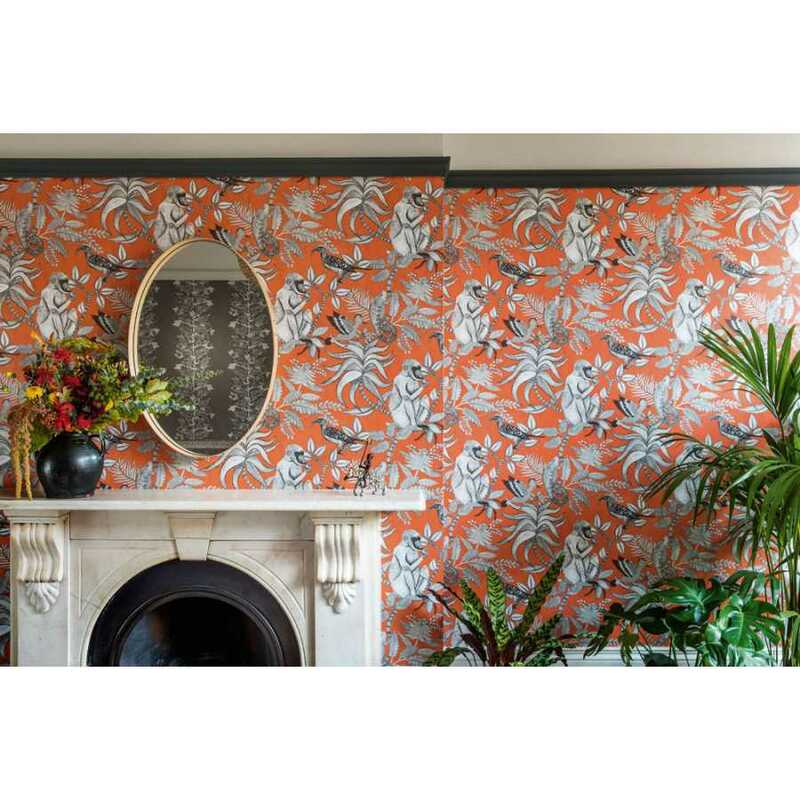 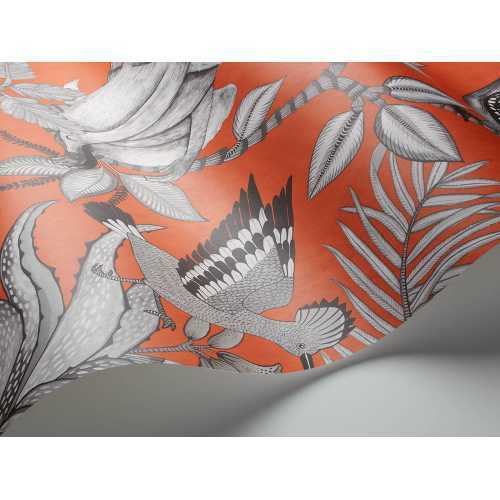 With wonderful inspiration and a bold natural feel, the Savuti Wallpaper design takes its name from one of Africa’s most loved and populous national parks. 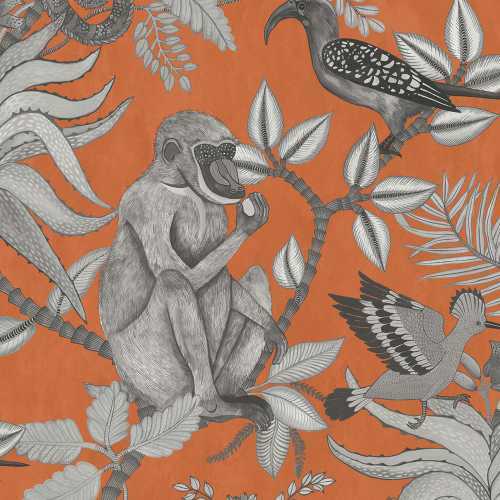 Home to many wild animals and fascinating species of flowers and plant life, the Savuti design captures the elegant and vibrancy of the national park and it’s perfectly placed in the Ardmore Collection by Cole and Son. Capturing the beauty of a wild African garden, this Savuti Wallpaper incorporates a range of beautiful flowers, hoopoe birds, hornbills, baboons and chameleons. Each of the animals is perfectly drawn and has a charming character about it. 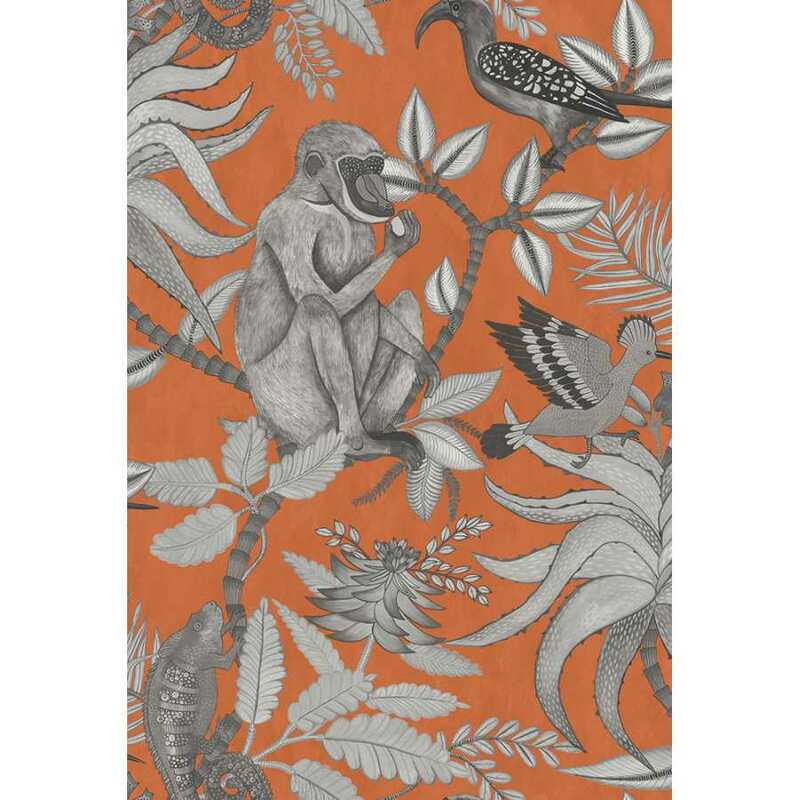 In this 109/1001 colourway, the background is picked out in a vibrant, rich terracotta and the design itself is laid on top in a greyscale-style sketch. Each roll of Savuti Wallpaper by Cole and Son measures 52cm in width and 10 metres in length. It has a half drop pattern match and a 76.2cm pattern repeat. The distinctive colour palette and charming graphics make this a statement choice for your home.